As part of our efforts to cater to the needs of our loyal gamers we will introduce a premium Hack Support Program (Insurance system) for those who opt to subscribe to this special service. There are certain conditions that need to be met before the compensation can be given. Kindly find the details below for your reference. Gamers can only choose 3 Items per account to be compensated/returned (subject for investigation). Option 1: The insured character can request the restoration of his/her quest ring (Mergahephs, Killian, Tempus, Tyrant or Awakened Tyrant’s Ring. However, it will consume 1 of the players restoration rights. Option 2: The player can request for the reactivation of the quest for the rings. This request will not affect the 3 restoration rights. User ‘s account was compromised after July 27, 2015 and after the service was purchased by the user. Ticket/Report requesting for Compensation must be submitted within 7 Days from the day the incident was discovered. Users can only claim the lost items for one character if the user only purchased one Precious Gem from the Cash Shop. 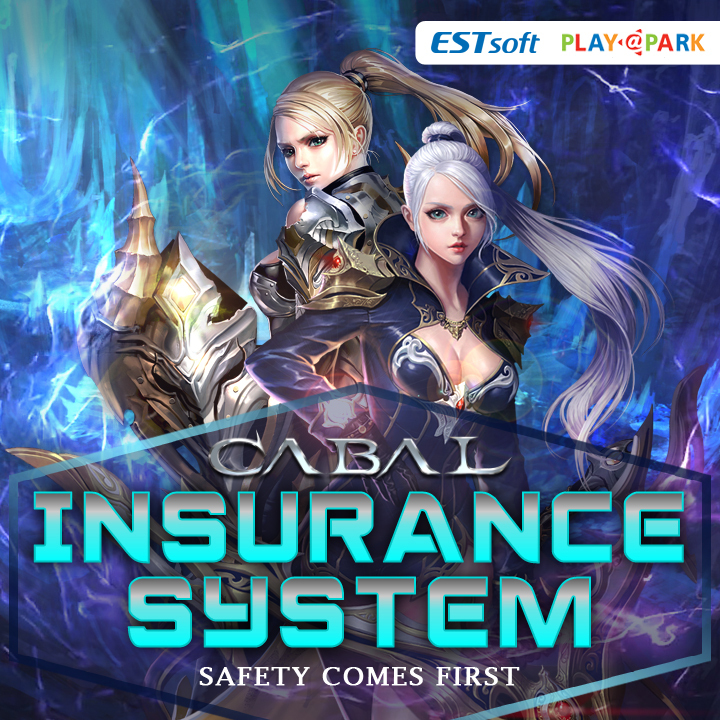 Gamers can file a ticket requesting for insurance claims by visiting the Support System. False Hack Claims will be denied and the account involved will be subject for indefinite block. 1. Gamers must submit an IBOX ticket containing the details of their Hack Case and agreement to the compensation plan starting July 27, 2015. Ticket must be filed under the CABAL HACK INSURANCE Category of the ticketing system. Please follow the Ticket format to ensure that the details of the Ticket are complete. Playpark Customer Support Team will return/close tickets that are incomplete. Attach Two Scanned Government-Issued ID/s (for verification/validation purposes). IMPORTANT: Please send clear and readable scanned ID/s. Requirements: Account should be validated (ownership verification) by submitting 2 Valid IDs or account used to file the ticket matches with the account hacked. 4. [TICKET REPLY from PlayPark] Notice regarding the receipt of the Ticket and escalation for Investigation (lead time 14 working days MAX). If the gamer gets hacked again, gamer must have a reserved gem for the insurance. Hacked Items that were purchased by a gamer via RMT (Real Money Trading) will still be returned to the original owner. We will not be liable for the failed transactions between trading parties, since we do not encourage gamers to participate in RMT. 6. [TICKET REPLY from PLAYPARK] Ticket Notification informing gamers that the items were already compensated and the hackers were blocked. 7. Case Closure and documentation of compensated users. DISCLAIMER: Account owners must provide the Account Transfer fee to their Hack Transferred characters. This content was originally published Jul 24, 2015.